Siskiyou County, in north-central California, has an abundance of natural and cultural beauty. 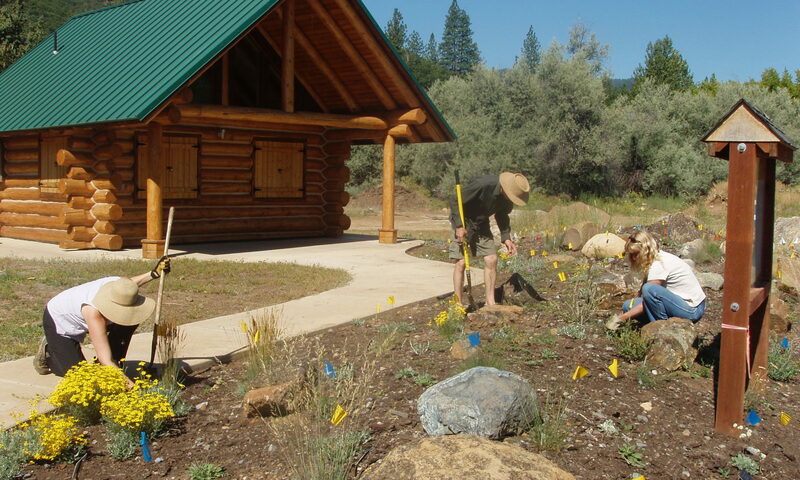 But, as an old Korean proverb says, “A beautiful view hath no charm when the cupboard is bare.” Siskiyou Gardens, Parks and Greenway Association is a place where people can connect with the land to provide for our mutual health and well-being. What does that mean? We think community health begins with opportunities to learn, grow, and work together for a sustainable future, by sharing and conserving Siskiyou County’s unique resources. From planning flood-control projects that create healthy salmon spawning grounds, to creating community gardens that nourish and feed ourselves and our elders; from composting programs that recycle our waste into horticultural gold, to developing our local parks in a way that cherishes our unique botanical heritage and conserves our water supply, SGPGA is harnessing the power of the people and the land. Whether your interests are in growing food, picnicking in the park, restoring heritage landscapes, enjoying native plants, fish and wildlife, or just appreciating our wide open spaces, SGPGA is working for you. And we can use your help, too. Sign up with one of our projects and programs as a volunteer or join as a contributing member. Take a stroll through our virtual organization and decide where you want to plant your spade!